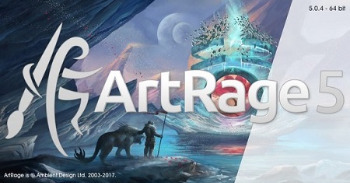 ArtRage 5 portable is the latest release from Ambient Design. It is a full featured digital painting program for Windows and macOS that brings together the convenience of digital editing tools, the realism of traditional paint texture and colors and the fun of creating art in one easy to use, professional level, program. ArtRage 5 helps you create art more easily, letting you just start painting without struggling with either the cost of materials or figuring out complicated brush settings. It also offers many advanced features designed to help you get exactly the result you need. – We’ve addressed a problem that could cause errors when pasting content to a layer in a hidden group. – We’ve made a change to tilt handling to fix a problem that could occur on some devices using Windows Realtime Stylus input where tilt values would be processed incorrectly.